– Swear allegiance to one of seven unique clans, then use an array of vampiric disciplines, such as Dementation, Celerity, or Animalism, to achieve your goals. – Superbly written dialogue with a unique feel and tone for each clan. – Customize your Kindred the way you see fit, from the dialogue choices you make to the skills you improve. Los Angeles always had a thriving night life but no one really knows what lurks behind the glittering lights and seedy nightclubs. 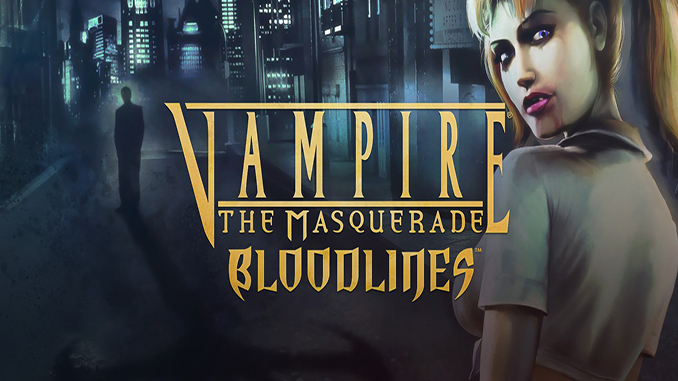 While mortals live their normal lives, clans of vampires conspire and scheme to further their own mysterious goals. As a newly-sired vampire, you are put to trial by the Prince of the city for your sire’s wrongdoings. what’s the rar file password? Not sure what you are talking about. 🙁 maybe you downloaded that file in a different site. i had no issue downloading and installing the game. It’s Crash on startup, how do i fix? Amazing RPG! I never really liked them as I prefer ones with combat or open world stuff where you can destroy what you like, but however old this game is, it’s gold! I played and finished this today after downloading it three or four days ago, and I loved it! The options, customisation of your character, Disciplines (I played a Toreador), and all the powers make it epic. Thank you so much for putting such an awesome game here! I’ll most likely play it again very soon with a different character setup and powers, I used patch 9.9 for this one. This is an epic game and one which will remain with me for many years to come. Hey, I’ve been downloading games from here for quite a while now and I’m really glad that I found your site. Every game I’ve got from here runs flawlessly. I wanted to thank you(sir/mam,whoever is managing this site) for all the great games, didn’t know where I am supposed to give feedback about your site so I’m posting here :P. I hope you read it, thank you so much. The site has good simple layout and feels good to browse through. It would be good if the search bar is more “visible”, just my humble opinion. This site is great nonetheless. i want to play final nights 1.3 but when i install it the new clans dont appear in the character selection.is it because of the unofficial patch? Hi, does it come with the unoficial patches?